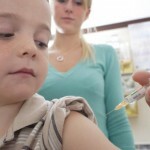 You’ll be well aware of the whooping cough epidemic Australia is still experiencing. In recent years the number of babies under six months old catching whooping cough has increased alarmingly. Already in 2011 we have had a tragic death of a baby in Victoria; this disease is serious. How will your baby catch whooping cough? The main source of infection of whooping cough for you baby will come from you and your family members. You may have it and not know it; in adults it is hard to tell if what you think is just a chest infection is actually whooping cough. The government immunisation program has three vaccinations against whooping cough for your baby, providing full protection by the time baby is six months old. But until then baby is open to the risk of catching whooping cough. It is important that you, your partner, and any other adults, like grandparents, who will be in contact with your baby are vaccinated against whooping cough. You can have the vaccination straight after you give birth. It is safe to have while you are breastfeeding. Your partner should be vaccinated before baby arrives. 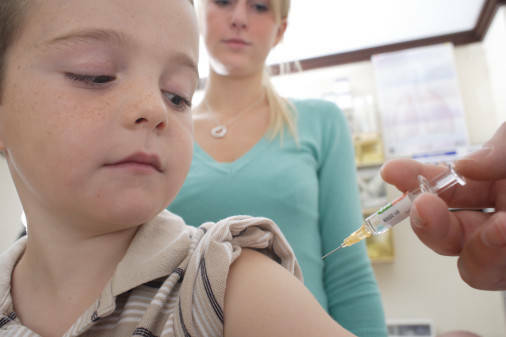 Grandparents might think they are protected since they were vaccinated against whooping cough when they were kids. This protection may have faded so a booster is necessary. How do you get vaccinated? Your family members should head to their local GP or community health immunisation centres. You can ask your maternity hospital for a vaccination. NSW and NT have been the most progressive in understanding the importance of the whole family around a newborn baby being immunised against whooping cough. Since 2009 the vaccine has been, and continues to be, free to parents and close family members in these states. QLD has now also recognised the importance of this; grandparents as well as any other adults living in a household with a baby under six months old are also eligible for a free vaccination. However, it is only for a limited time. So, don’t be shy to hassle all adults who will be a part of your baby’s early months to make sure they are vaccinated before the joyous arrival; even if they have to pay for it.